Skyline Tube System is a designer’s dream. Tube parts are available in a variety of sizes and curved radius’. Combine the structural tube components with vibrant Skyline fabric graphics offers unlimited design options for brand messaging and product merchandising. Tube System also works seamlessly with other Skyline modular systems so you can build big and get noticed. 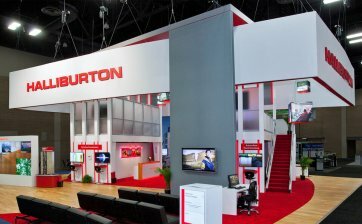 Tube Ultra® is the perfect system for exhibitors who require structure to support product and presentation equipment, but want to avoid the weight and costs of systems that were designed to create larger island exhibits. 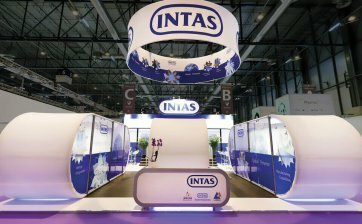 Tube Ultra’s sleek profile allows for less expensive production costs and less expensive operational costs to the exhibitor. 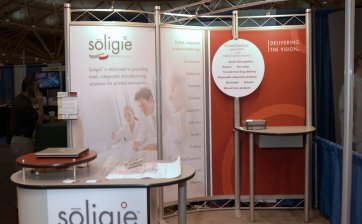 It assembles easily and can be configured in many ways to achieve your exhibiting goals. 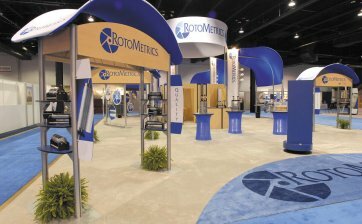 SkyTruss® comes in standard black or silver finish, but may be custom painted to better reflect your brand and exhibit design. 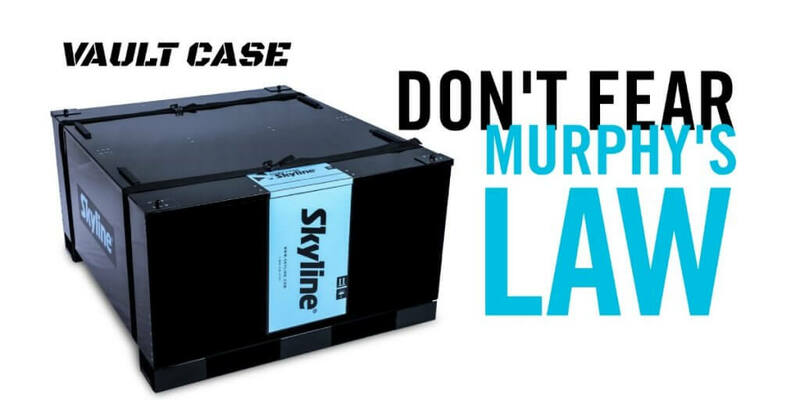 SkyTruss® is weight-bearing (architecturally sound using solid steel connectors) so you can merchandise it with heavy products or hang heavy presentation or lighting equipment. Inliten® was engineered to effectively support both your products and display your messages, while also looking elegant architecturally. Its sleek, streamlined design puts the focus on your brand and products. Each cell can support up to 100 lbs. of product! Fabric structures are made with aluminum framing on the inside. Parts click together like tent poles for ease of installation and dismantle. The graphics are wrapped around the structures and zippered closed for a perfect finish. 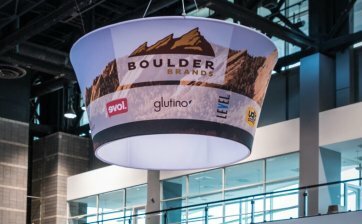 Skyline’s Tapestry™ fabric structures are large, organic shapes covered by vibrant graphics. 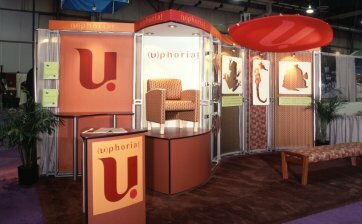 Tapestry™ fabric structures get attention from all over the show floor for optimal attraction to your booth. The parts and corners of the structures are modular and pack small ensuring lower shipping and drayage costs. 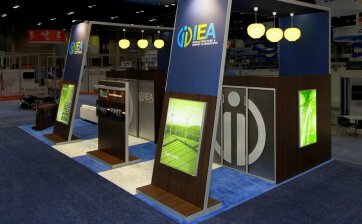 Engage panels look custom, but being 66% lighter and thinner than typical custom walls, Engage panels will save you thousands of dollars per show just in shipping, drayage and installation & dismantle costs. 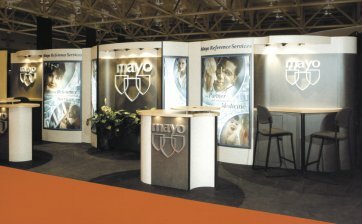 Envoy® is designed to allow graphics to stand out. This sleek, modular structure features Skyline’s exclusive FlexLock® fabric Connection System, which conceals fabric to hardware connection. 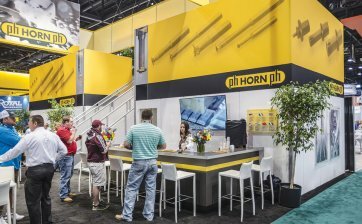 Have a question about our custom modular exhibits?